DAVID LE/Staff photo. 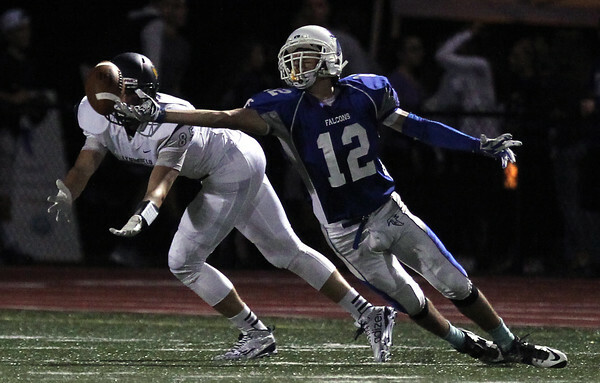 Danvers senior defensive back Mike Nestor (12) makes a diving effort to knock away a pass intended for Lynnfield receiver Louis Ellis (85). 9/19/15.